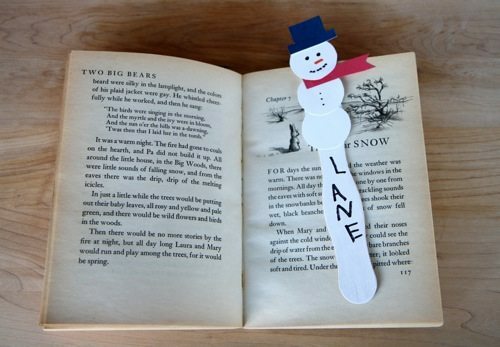 When the weather turns cold and you want to cuddle up on the couch with the next chapter, add a snowman bookmark to mark your page. We found these wooden sticks at the craft store; they’re basically large popsicle sticks that come in a package. 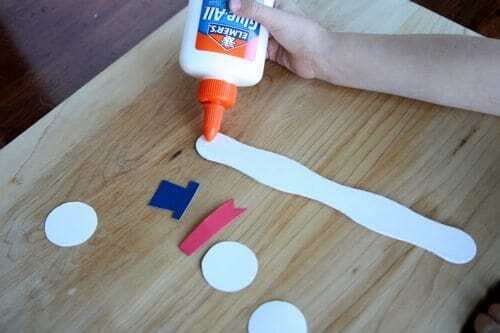 Use craft paint to paint them white. 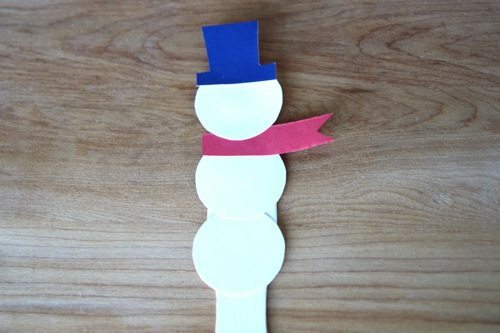 Cut out snowman shapes from scrap paper. We traced the bottom of the craft paint bottle to make the circles. Cut out a hat and a scarf. 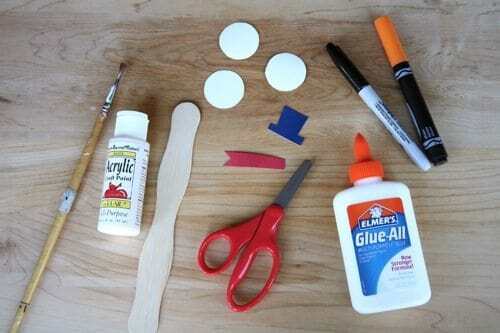 Glue the shapes to the wooden craft stick. 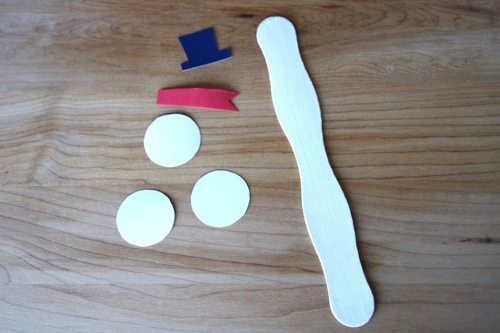 Now your snowman is ready to personalize! 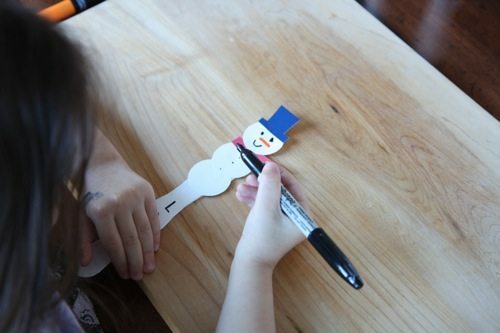 Use markers to draw the face and buttons and add your name. Enjoy reading your next chapter! Where did you find the craft sticks!? I couldn’t find them at Michaels.